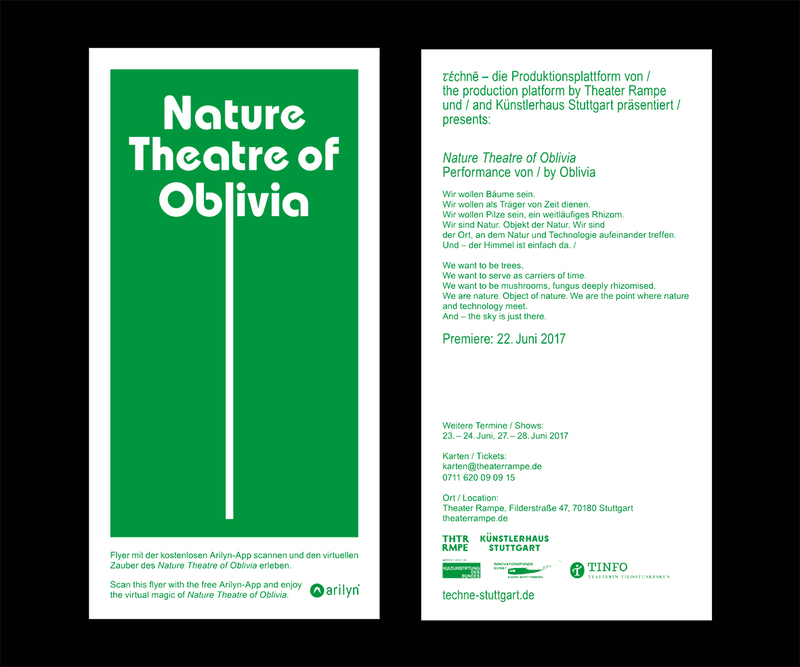 Visual Identity, invite and poster for a live performance and an augmented reality (AR) work as part of and co-produced by the TECHNE project at Theater Rampe and Künstlerhaus Stuttgart in Germany. 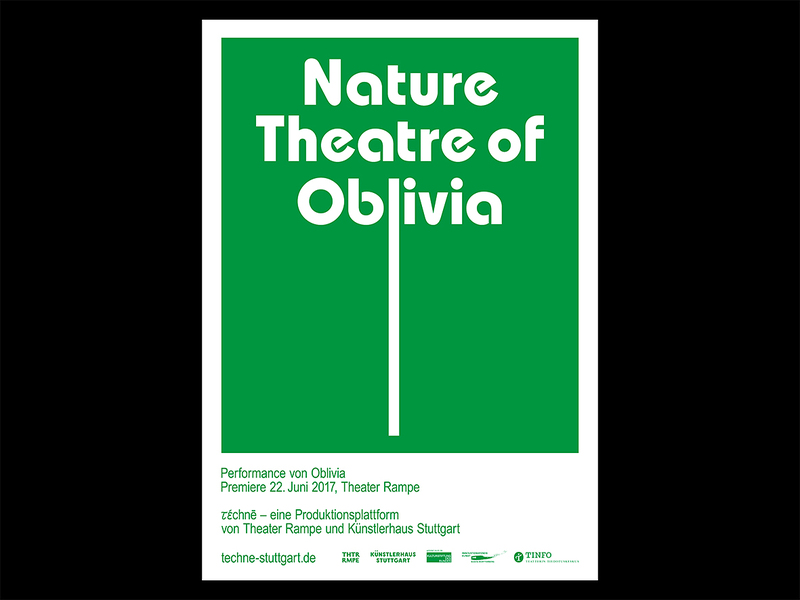 Nature Theatre of Oblivia works with the impressions, experiences and desires that nature offers us, as a concept and as a place to be, and something to become – like a forest in all its familiarity and uncanniness. Techne, a production platform by Theater Rampe and Künstlerhaus Stuttgart runs from November 2016 – Januar 2018.